DETROIT -- General Motors Co. has agreed to sell its Nexteer Automotive steering-parts business to China's Pacific Century Motors, part-owned by Beijing's municipal government. The sale includes Nexteer's 22 plants, along with its engineering centers and customer support centers worldwide. The companies did not release terms of the sale, but said today they expected the deal would close by the end of the year. The sale still needs regulatory approval from both the U.S. and Chinese governments, and other countries where Nexteer operates, GM spokeswoman Renee Rashid-Merem said. Pacific Century Motors is owned by Beijing's financing and investing division, called Beijing E-Town International Investment & Development Co., and Tempo International Group, a Chinese supplier of chassis and powertrain components. GM acquired Nexteer last year from its former parts arm, Delphi Corp. The automaker viewed the steering business as a non-core asset and put it up for sale. The sale of Nexteer will allow GM to focus on engineering core parts of the car, like engines and transmissions, while outsourcing smaller systems to parts suppliers, said Mike Wall, an analyst with IHS Automotive, a research firm based in Lexington, Mass. The pending sale gained traction last month after nearly 2,100 hourly workers at Nexteer's steering plant in Saginaw, Mich., reversed a previous vote and approved concessions. GM officials had told Nexteer that the previous rejection of wage and other concessions jeopardized the division's prospective sale to one of two interested suitors. The new concessions passed by 73 percent, with 1,965 workers casting ballots, according to a clerk at UAW Local 699, the local that represents Nexteer hourly workers in Saginaw. Nexteer posted $2.1 billion in revenue in 2008, almost half of it from GM. The unit has 6,200 employees, 22 manufacturing sites and 60 global customers. GM said in January it would sell the steering unit. The automaker bought the business from Delphi as GM's former parts unit emerged from four years of Chapter 11 bankruptcy proceedings in October. 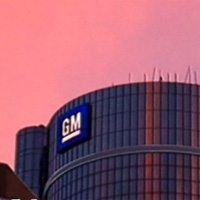 GM exited its own bankruptcy in July 2009, with the U.S. government holding a 61 percent stake. GM is preparing for an initial public offering that may sell 20 percent of the Treasury's stake, reducing the U.S. to a minority owner, two people familiar with the plan said last month. GM, which spun off Delphi in 1999, bought back the global steering business and other factories in Wyoming, Mich.; Kokomo, Ind. ; and Rochester and Lockport, N.Y.
David Barkholz and Bloomberg contributed to this report.